Whenever we enjoy the outdoors, we have to keep in mind that we’re not always as alone as we think. Bears, snakes, coyotes and tons of other wild animals all make their homes in the places that we love to camp. When we camp, we have to be sure to maximize our own safety as well as the safety of the animals that make these places wild. Luckily, if you’re planning a trip into the wilderness, there’s a lot that you can do to ensure that you won’t encounter any hostile animals. This is a rule to follow for all campers, hammock or tent. Never store any food with you where you’re sleeping, and do not leave any in your pack. 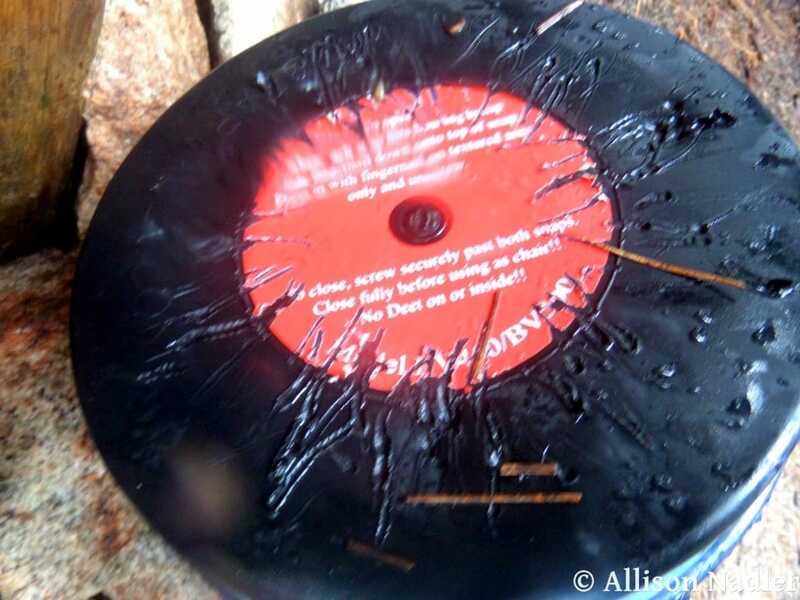 Even if you aren’t in an area with dangerous predators, you don’t want to wake up to squirrels clawing a hole into your back to get at your trail mix. Make sure all your food and anything that might have a strong fragrance is kept far from the campsite – at least 100 feet away. 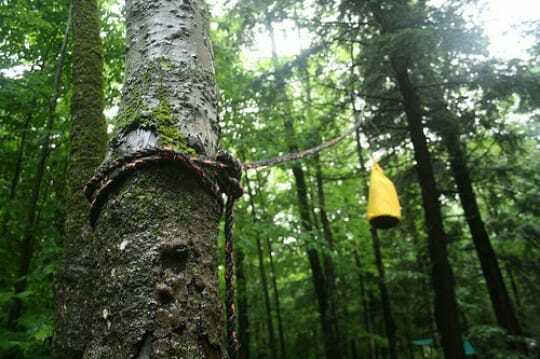 If you’re in an area without bears, you can hang your food bag from a tree branch with a rope and tie the other end of the rope somewhere on the ground. The bag should be at least 10 feet off the ground and 4 feet away from the tree. This is often enough to deter smaller animals from trying to get at your food. However, bears are incredibly intelligent animals and also skilled climbers. In many places, the bears have figured out how to retrieve food hung up like this. The only method of hanging that works for bears is counterbalancing, but even counterbalancing isn’t foolproof and is a hassle to set up and retrieve. Even if the place you’re camping at doesn’t require bear canisters, if you know there is bear activity there, it is still highly recommended that you bring a canister with you on your trip. Bear canisters are bulky and take up a lot of space in your backpack. However, you can minimize the impact it has on your pack if you store as much of your gear as possible into the bear canister when you are packing your backpack. Keep the canister in the center of your pack, near your shoulders to ensure proper balance while hiking. If you’re camping in areas with grizzly bears, consider keeping your food in smell proof ziplock bags. 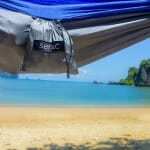 One of the natural advantages of camping in a hammock is that you are suspended off the ground. This means smaller animals will have a much more difficult time getting into your shelter at night. Coupled with a bug net, a hammock will keep you safely suspended above any raccoons squirrels or snakes passing by. If you’re confident in the strength of your hammock and you’re camping somewhere with high levels of animal activity, don’t be afraid to set up your hammock a little higher than usual. As long as you’re able to get in and out, having the extra height may help. 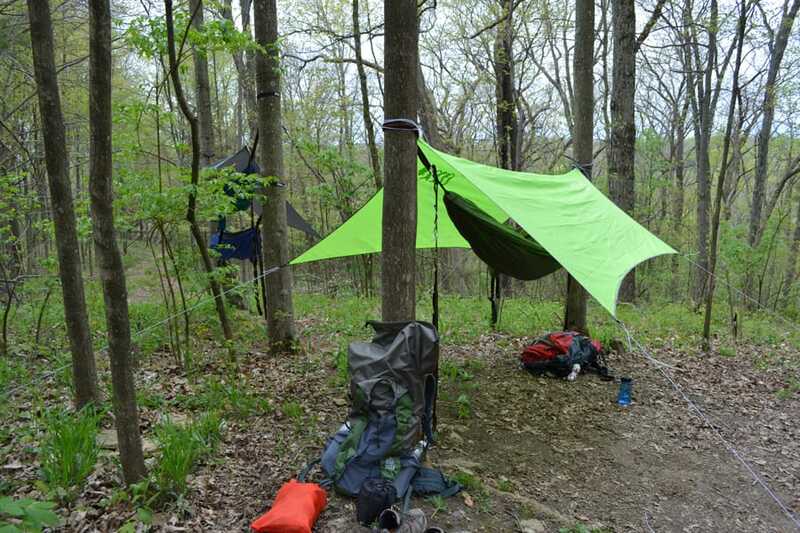 If you can, consider keeping your bag in your hammock with you, or attached to the tree straps so that it is suspended above the ground. Even if you don’t have any food in there, some lingering smells might attract a destructive little squirrel or provide shelter from some unwelcome creepy crawly. There will different animals to be aware of depending on where you camp. In places like the Sierra Nevadas of California or the Adirondacks of New York and New Jersey, bears are the primary danger. But in other parts of the country, the main troublemakers might be raccoons or coyotes. Be aware of the local animal warnings in your area. As tempting as it is to set up a picturesque lakeside camp, it’s always a better idea to find a campsite a little bit further from the water source. Just as people are drawn to the water, so are wild animals. Plenty of animals might use that lake as a watering source and the calm lake shore might turn into a hub of activity at night. 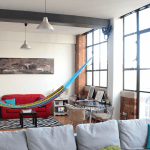 The versatility of a hammock will let you set up your campsite virtually anywhere. 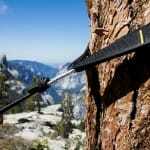 No matter where you are, you’ll have plenty of options to choose from as long as there are two sturdy trees. 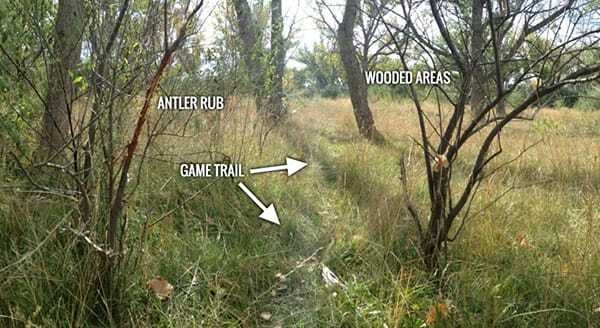 Keep your eyes on the lookout for game trails as well. These may just be a little train of dirt that has less vegetation than the surrounding soil. Game trails are frequented by animals and also the predators that hunt them. 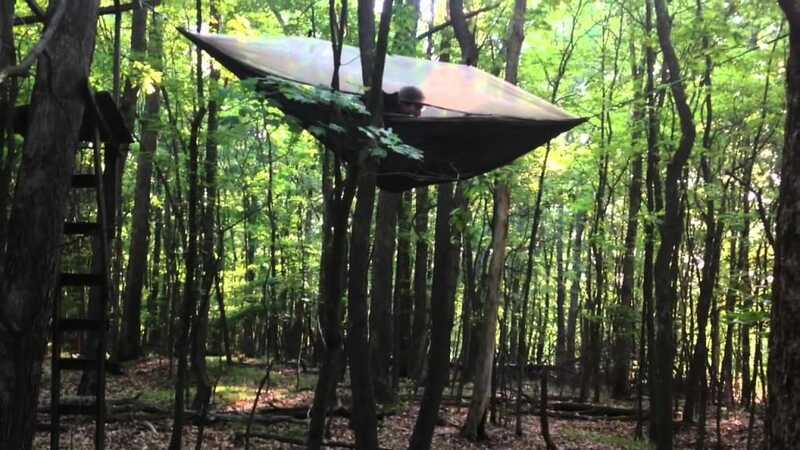 Make sure you don’t accidentally set up your hammock across one of these game trails! Fire – will it keep animals away? A point of contention is whether or not having a campfire will keep the wild animals at bay. Some argue that animals are naturally afraid of people and wildfires and having a campfire is a natural deterrent for most creatures. However, others say that they’ve seen animals stroll into camps with fires blazing, attracted to the promise of garbage and leftovers to scavenge that a human camp represents. But one thing is certain, having a campfire feels great! 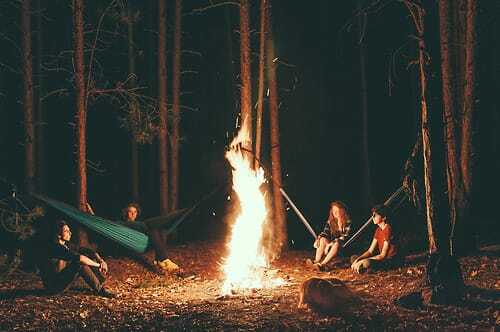 Even if it doesn’t actively repel animals, sitting around a campfire with some buddies makes it easy to share stories, laugh and have a good time. For many animals, making noise and being loud are great deterrents, and nothing facilitates that naturally like having a good time around the campfire. 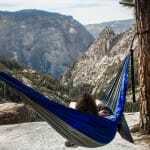 This entry was posted in Hammock Uses and tagged Backpacking, benefits, Camping, hammock, safety, uses. Hahaha I’ve always been afraid of being a bear taco! I just went hammock camping in northern Michigan the past weekend and I can say I was definitely afraid of being a bear taco as well! The fire doesn’t keep animals away in my experience, but it does provide a deep comfort. As a bonus, Mr. Owl loves hanging around the campfire catching creepy crawlies. If you’re lucky, he might even sing you a lullaby.